When learning how to cook oysters, you will find there are many techniques. There are also many different recipes for each way of cooking them. Many people love good quality fresh oysters served raw. (I do not eat them raw and do not recommend it. Supposedly you only eat them raw in months without an “R” in it. I am No expert in this area.) To cook oysters, they can be broiled, grilled, fried, sautéed and steamed. They are used in recipes like stuffing, stews, scalloped, barbequed, in salads, for sandwiches and so many other ways. Most people will express either their love or hate for oysters; no in-between. Much of the “love for oysters” comes from the regions you are talking to. Coastal regions have access to very fresh ones which are delicious when prepared. Quality is important when preparing oysters and other seafood due to quick deterioration. When learning how to cook oysters, you should know there are over a hundred varieties. From these different types, there are only five species. The different species depend on the location of harvesting. The ones I usually purchase are Crassostrea Virginia. They come out of the Atlantic Ocean along the North American coasts. These are a little larger and the only indigenous oyster in North America. Because of the size, these make a beautiful presentation when battered and deep fried, grilled or broiled. Great for appetizers! Along the U.S. Pacific coastal area, the Crassostrea Gigas are harvested. These are not indigenous to America but were brought into these waters. The shells of these oysters are prettier in colors and ruffled on the edges. When learning how to cook oysters, for the most part they are interchangeable in recipes. However true this is, this type of oyster offers a pretty presentation when serving them in the shell. These are known to be sweeter and less briny than the Atlantic oysters. Also from the west coast of the United States is the Olympia Oysters (Or Ostrea Conchaphila). This is the only indigenous oyster to our west coast. If learning how to cook oysters, this flavorful oyster is the smallest of all the species. It is known for a strong sweet celery flavor and a creamy texture. The European flats or Ostrea Edulis from Europe have smooth flat shells. With a meaty texture, many describe them as having a crunch when eating. The Asian Crassostrea sikameafrom or kumamoto oysters are known for their bowl shaped shells. They are small and have a sweet nutty flavor; good for soups and stews, if you are learning how to cook oysters. Although I have cooked oysters successfully for decades, I must admit that I am no professional when it comes to oysters. I mostly use them all interchangeably except I like larger ones for appetizers or presentation. Scrub each oyster shell with a stiff brush under running cold water. To open (known as shucking) place rounded side down on cutting board. Cover oyster with clean cloth to protect your hands. Hold oyster with cloth; cautiously pry open with a short strong knife. Slide knife along inside of upper shell to cut muscle and release oyster. Try to reserve as much of the juice as possible. NOTE: When serving raw in the bottom half shell, juice is served also. Use the larger bottom half of oyster shells; discard tops. Using a shallow serving bowl fill with crushed ice. Place the half shell in the ice and arrange a little container next to the shell in the ice. Fill the small container with seafood sauce. Place 6 to 8 small oysters in the half shell. Garnish with lemon wedge. 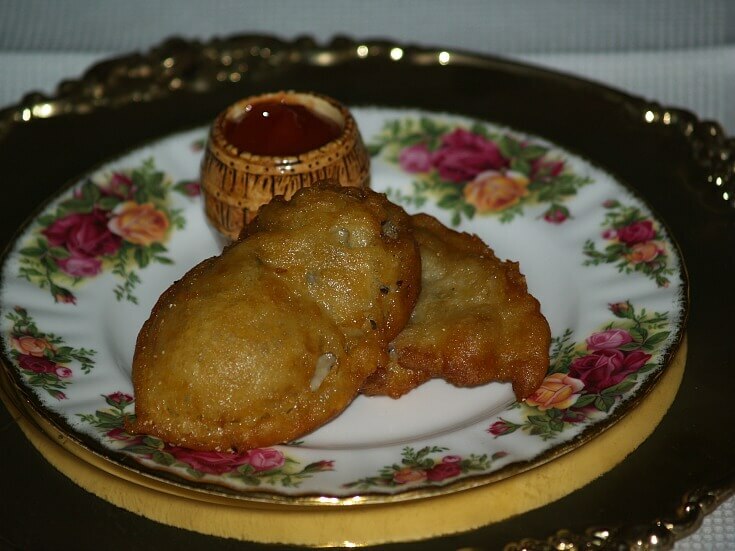 Learn how to cook oysters by dipping in batter and deep frying. Look over oysters and remove any bits of the shell. Combine baking soda and buttermilk in small bowl; beat with fork. Beat in the flour and salt until smooth. Heat 1 ½ inches of cooking oil in heavy saucepan. Dip oysters in batter; drop in hot oil. Brown on both sides turning once; drain on paper towels. Serve with favorite seafood sauce. How to cook oysters in a creamy stew. Heat oysters in saucepan just until edges start to curl. Add the cream, 2 tablespoons butter, pepper, paprika, salt and celery salt. Heat gently just until hot (Not boiling). Serve hot in hot bowls; top with pat of butter. Preheat oven to 425F degrees; butter 4 ramekin dishes. Combine crumbs and ¼ cup of melted butter. Divide crumb mixture in half; use half to line 4 dishes. Arrange 6 oysters in each of 4 dishes over crumbs. Divide liquid mixture spooning over oysters in 4 dishes. Top with remaining crumbs divided equally. 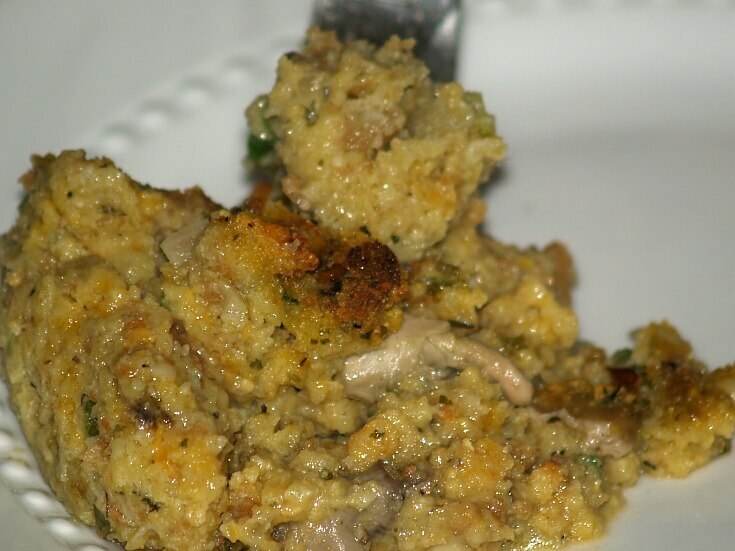 Learn to cook oysters in this delicious cornbread stuffing. 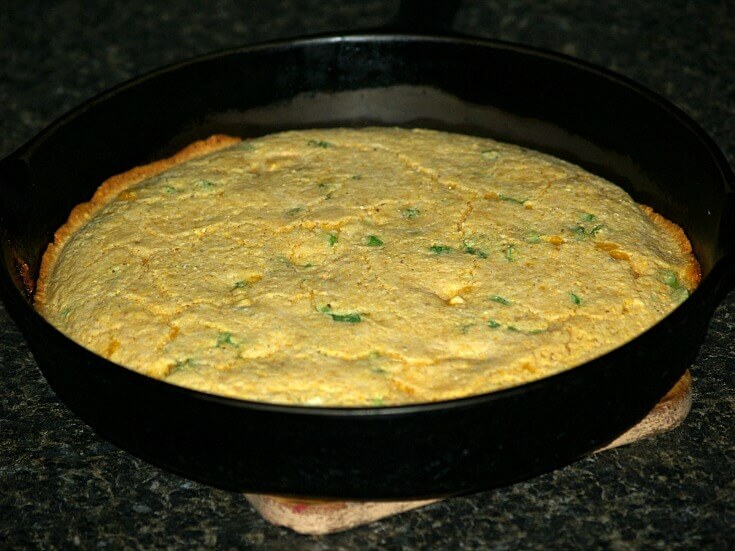 Start by making the cornbread (Can be made ahead of time). Combine the flour, cornmeal, baking powder and salt in bowl. In small bowl stir together milk and egg; add to flour mixture. Stir mixture just to blend all dry ingredients; stir in cheese and onions. Place bacon grease in 10 inch iron skillet (Or baking pan). Place skillet in oven until hot and grease melts. Tilt skillet to coat bottom evenly; stir hot grease into batter. Pour batter into hot skillet; bake for 20 minutes until done. Melt butter in large skillet over medium high heat. Add onion, bell pepper, celery, garlic and bay leaves. Cook and stir 5 minutes until vegetables are tender. Drain oysters and reserve liquid; set oysters aside. Add oyster liquid, broth and green onion to skillet; bring to boil. REDUCE HEAT and simmer 5 minute stirring occasionally; reduce from heat. Stir in oysters, black pepper, white pepper, parsley, salt, hot sauce and thyme. Beat eggs and milk in large bowl; crumble cornbread into bowl. Add oyster mixture to bowl; stir until well blended. Pour stuffing into greased deep 11X7 baking dish. Bake 45 to 60 minutes until golden brown; serves 8 to 10. Drain oysters; dry on paper towels. Combine cracker crumbs, salt and pepper; set aside. 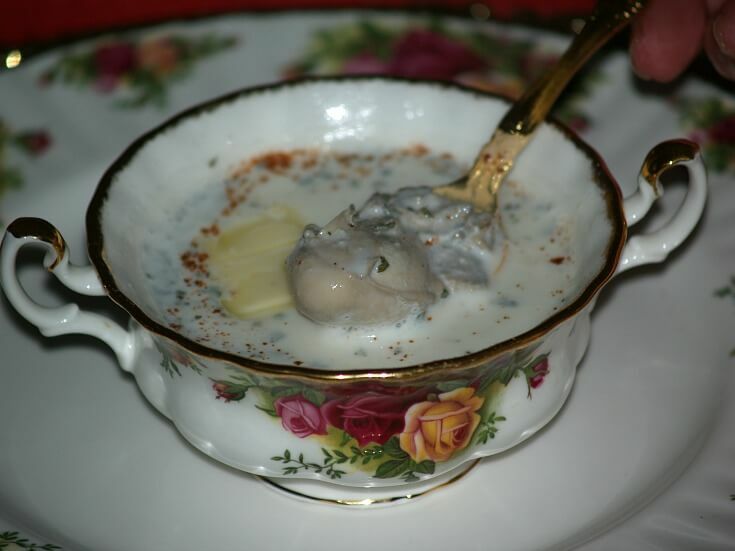 Dip oysters in oil; dip in crumb mixture. Broil in hot oven until brown; turn over and brown on other side. Serve hot with seafood sauce; serves 4. Learn how to cook oysters on the grill. Sauté shallot and garlic in butter for 2 minutes. Over low heat stir ham into mixture; cook 2 minutes. Spoon 1 tablespoon ham mixture onto oyster in each shell bottom. Top each with a portion of the crab meat; top with 1 tablespoon Mornay Sauce. Cook oysters in covered grill over hot coals 8 minutes. NOTE: Can also be baked at 350F degrees for 15 to 20 minutes. Stir in flour until smooth; cook and stir another minute. Gradually stir in milk; cook and stir over medium until thickened. Stir in all cheeses until smooth; makes 1 ¼ cups. Learn how to cook oysters fit for a king. Add spinach, onion, parsley, bay leaf, salt and cayenne pepper. Cook stirring occasionally until spinach wilts and mixture is hot. Toss in breadcrumbs; set aside off heat. Layer ROCK salt in bottom of shallow baking pan. NOTE: Use enough to keep oysters in shells and from tipping over. Place oysters in half shell a little down in the salt. Spoon spinach mixture on the oysters; sprinkle with bacon and Parmesan. Bake 10 minutes or until bacon is crisp; garnish with lemon wedges. Pour melted butter into 11X7 inch baking dish. In small bowl combine egg, milk, salt and pepper; beat to blend. 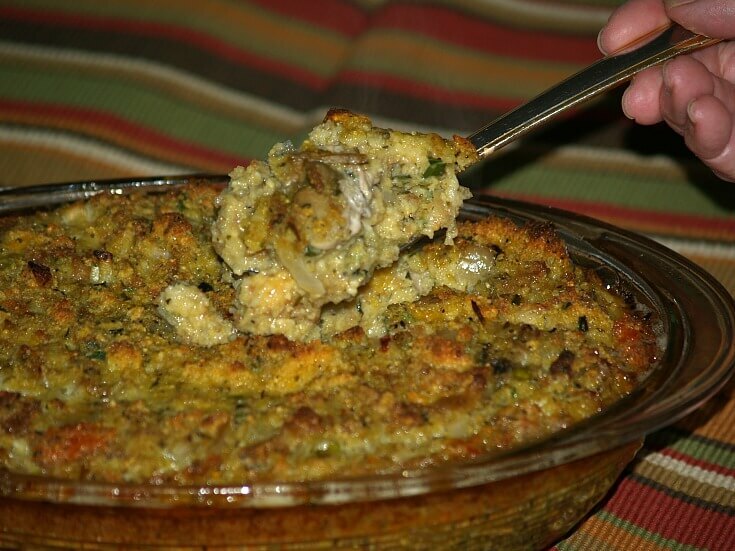 Dip each oyster in egg mixture; dredge in breadcrumbs. Place in baking dish turning to coat with butter. Top oysters evenly with cheese, parsley and paprika. Bake 10 to 12 minutes until lightly browned; serves 4. Learn how to cook oysters with this delicious recipe. Melt 3 TABLESPOONS butter in skillet; brown oysters. Remove oysters from skillet; add ¼ CUP butter, sherry and steak sauce. Add oysters back into skillet; simmer until oysters are tender. Beat egg and milk together; stir into flour mixture. NOTE: Mixture should be stiff to form into croquettes; if too stiff beat in more “drops” milk. Stir oysters into egg milk mixture to coat well. Take 3 batter coated oysters out at a time. With hands shape into a croquette; quickly roll into meal to cover completely. Coat again with the batter and roll in meal again. NOTE: Repeat with all oysters; place croquettes on parchment lined tray. Heat lard or oil to 375F degrees (No hotter; need to thoroughly cook). Place croquettes in basket without crowding; lower into hot fat. Cook about 3 to 4 minutes until browned all over; drain on paper towels. NOTE: Key is to keep the oysters from separating from the croquettes. 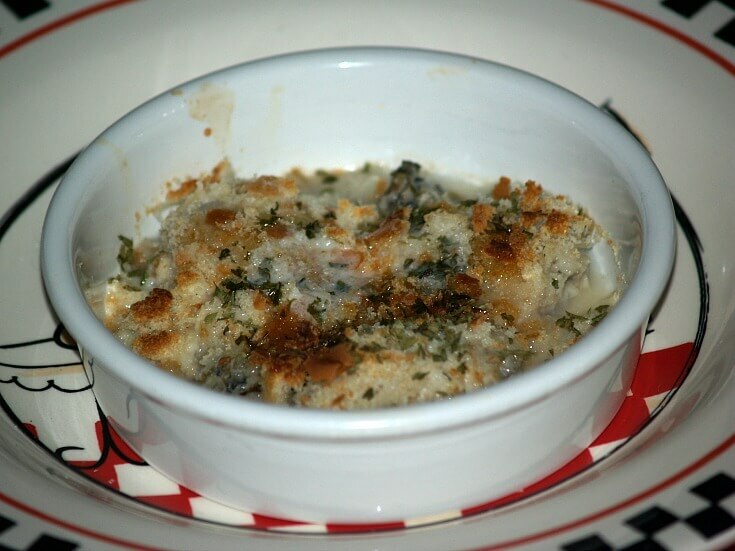 Learn how to cook oysters in casseroles. In baking casserole beat egg lightly with fork. Add milk, corn, salt, soy sauce and onion; mix well. Scatter oysters over the top; top with cracker crumbs. Bake for 30 to 35 minutes until set; serves 4 to 6. Learn how to cook oysters with wild rice. In large skillet brown onion and celery in ¼ cup of butter. Remove from heat; add milk, flour and spices. Stir drained rice into skillet mixture. Pour into greased 2 quart casserole baking dish. Soak drained oysters in ½ cup melted butter 5 minutes. Pour oyster and butter over casserole spreading out the oysters. 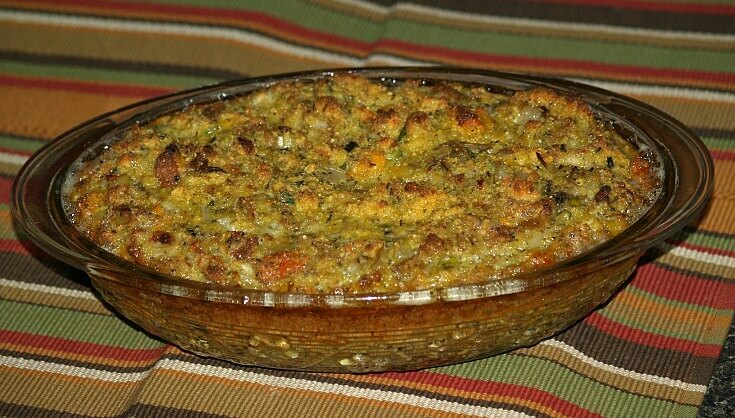 Top casserole with cracker crumbs; bake 45 minutes.